AIR CTI enables you to suit the load to the road, and the conditions you are driving in. You achieve better traction, better tire life and enjoy a better ride, whilst having greater control over braking, steering and speed. This all adds up to improved safety, improved fuel economy, and improved job scheduling. Not every vehicle is the same and every setup is different, AIR CTI tends to all of these needs with multiple options. Steer CTI takes a hammering, far worse vibration than drive axles. Going internal requires mating with other manufacturer’s products, ie stub axles, hub caps, etc. Therefore, variations of components will happen. Chetco internal steer CTI system has tried to solve all known problems with steer CTI systems, with an easy to fit and reliable system. 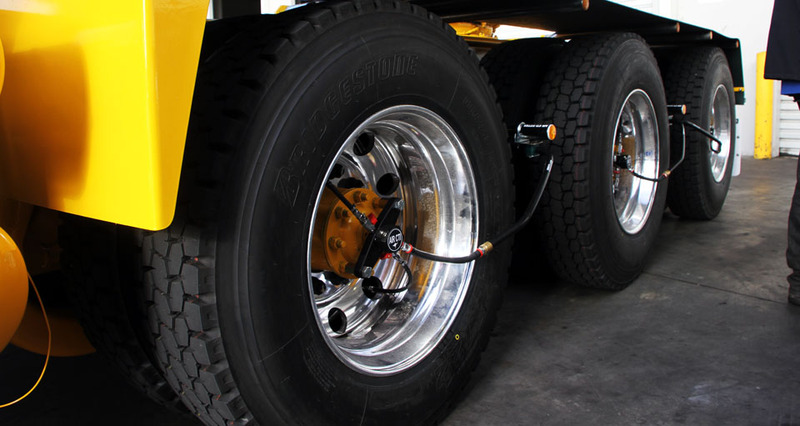 The Chetco rotator mounts securely to standard Stemco style aluminum hub caps, with the standard clear oil checking cover allowing hub oil level checks, as per standard transport practice. Air connections are countersunk to ease tire changes. 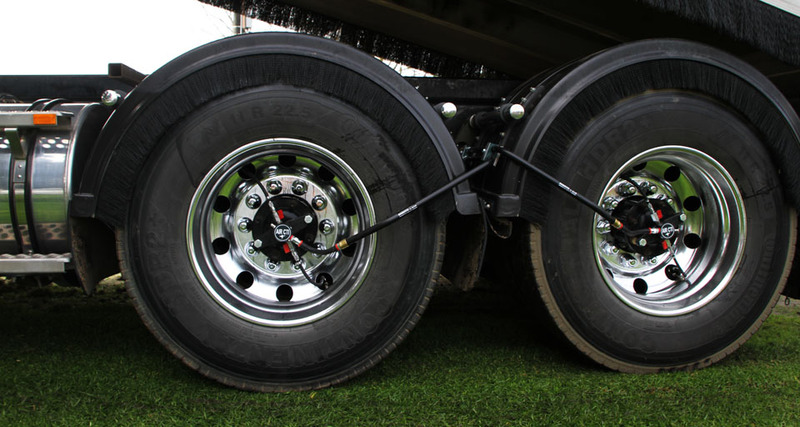 Special taps are included which attach to the tire hose. A special 90 degree tire hose end is ideal for most installations, although straight and J fittings hoses are available. AIR CTI is simply the best CTI available. 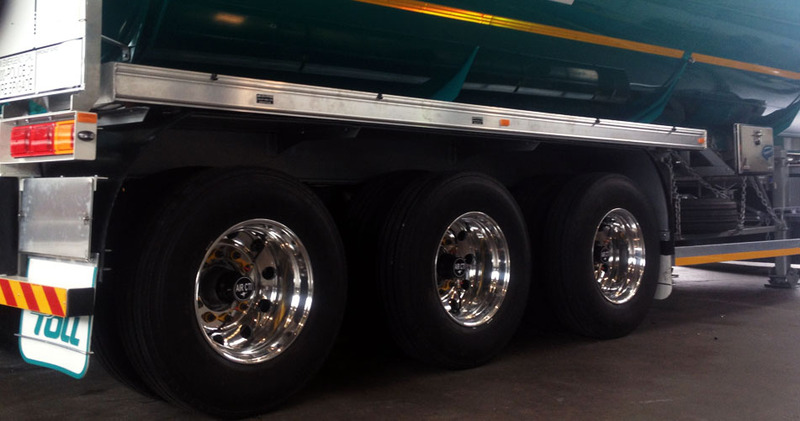 Trailer Rotators are positively driven, fit to a wide variety of axles, totally seals the bearings, and can work on either grease or oil systems. (Note different rotator machining for each job). 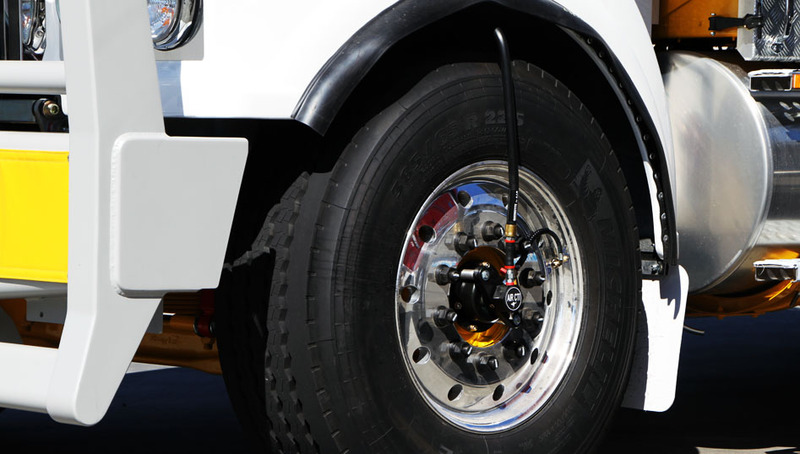 Trailer Pressure control is via the drive tire pressures, with the low pressure typically selected when drive pressures are reduced below 70 psi. 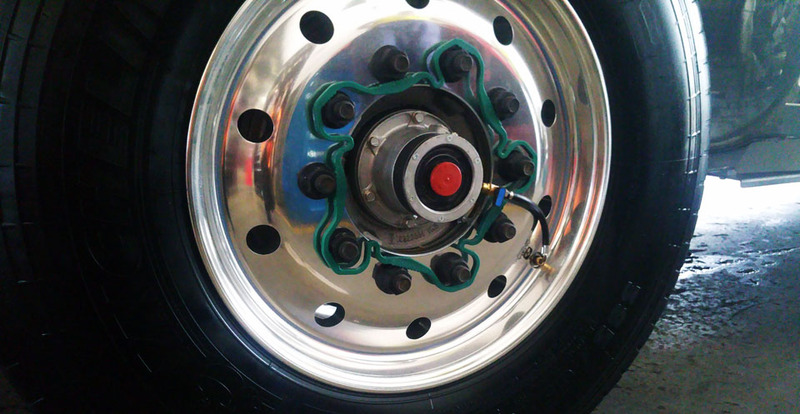 The pressure controls are fitted to the truck, eliminating troublesome trailer electrics. Large capacity solenoids inflate and deflate rapidly. Isolators automatically isolate high pressure duals from damaged tires, adding safety unmatched in this industry.